After the really basic stuff was handled people had few interesting questions that we figured out together. At this point our course became more of an workshop, but that’s the beauty of Hacklab, we can do everything. These were already not that basic topics but as everyone was interested we gladly dive onto those questions. 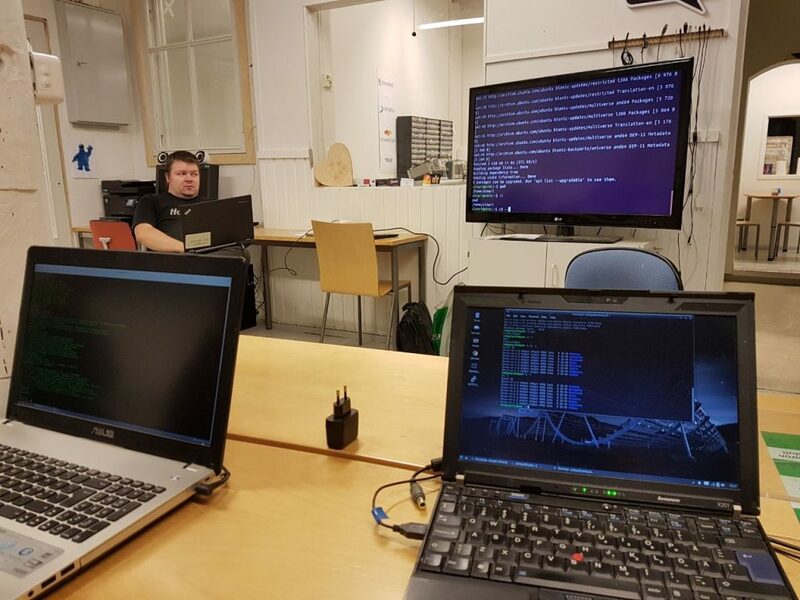 We learned how to put programs at background and how to get back into them, we made simple bash-script that had for-loop and then we figured few ways to debug such scripts. We also studied general filesystem layout for Linux systems; where is everything located like log files, program settings and so forth. I think we all learned something new, including teacher, which is always positive. Relating loosely on this course, I have been planning on making some 3-4 evening long Raspberry Pi -course. At that I figured to start with introduction of Raspberry Pi, what it is and what is it good for and what is it not. Second day would be then some basic usage, how to move on with graphical user interface and so on. Third day then would be maybe similar to this, some basic command line usage and so on. Then fourth day propably figure out how to make something useful out from Raspberry Pi, for example how to use GPIO for listening a button or sending signals like turning on led. All depending what peoples want really. Any intererst in such course?